Phew, September went by quickly! We can’t believe we have already completed a month of school. One of the first activities we did was an Instant Challenge. We were in groups of the three and the task was to build the tallest tower with thirty-six plastic cups. Many of the towers fell before we could measure them! Who knew that one butterfly could spark an amazing experience and study! We received a monarch chrysalis from another teacher. Sadly we missed witnessing the butterfly hatching from the chrysalis. We did feed it and take care of it for two days. When it didn’t move for about a day, we were worried. Thankfully it changed its position and flapped its wings. We named it Monica and released it into the garden. We noticed other monarchs out on the playground that day. We learned that the monarchs migrate to Mexico for the winter. It’s an extremely long journey. We also learned some different ways that butterflies keep safe from predators. Some use camouflage to blend into the leaves. 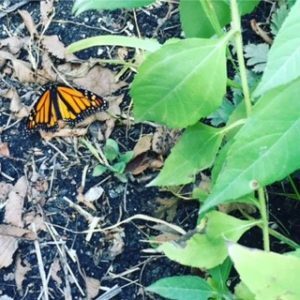 Monarchs eat milkweed and that makes them taste terrible and so birds avoid eating them. Some butterflies are the same colour as other poisonous butterflies. This is an adaptation called mimicry. Predators think that they are poisonous too. Most of our questions were answered through our research but there is too much information to include it all in this report! 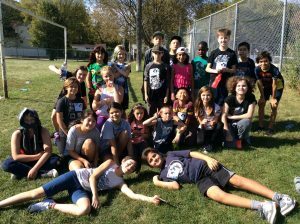 Another exciting event in September was that our class was in charge of the Terry Fox Fundraiser. We called it “Toonies for Terry”. In total we raised $440 for the Terry Fox Foundation! 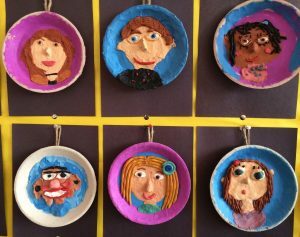 Did you know that Room 21 made Plasticine portraits during the first week of school? We put A LOT of detail into them! The first step was to warm up our Plasticine in our hands and then spread it on our paper plates to make our background. Next, we chose the colours for our face and then we mixed. Then, we carefully created our facial features. And finally, we added hair and clothing. It was exciting to make a picture of ourselves without using our usual colouring supplies. Stop in and see our beautiful art! 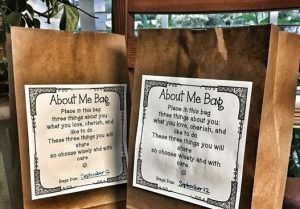 Our All About Me bags have helped us to get to know one another this month in Room 22. We took home our bags and filled them with items we cherish or that hold special memories for us. 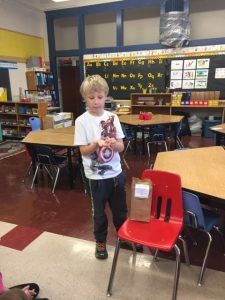 We took turns presenting our items in front of the class, giving hints to our classmates so they could guess what was inside. 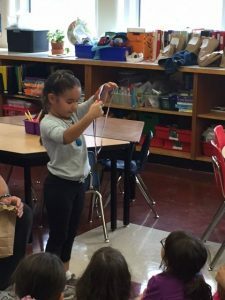 Some of us chose to bring in toys, dolls, rocks and electronics and we’ve learned that some of us have more in common with one another than we thought! Room 23 is Running and Running! September has been a busy month in Room 23! 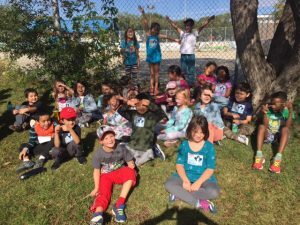 Our whole class participated in the Terry Fox run on Friday, September 22nd with the rest of our school. Before we joined the whole school we learned a song called “The Terry Fox Song” by Mr. Kallhood and his grade 3 class. We found ourselves singing the chorus and doing the actions the whole day! 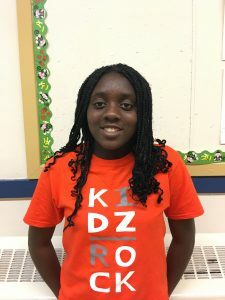 “It’s the Marathon of Hope, the Terry Fox Run and it happens every year in the rain or the sun”. We also learned that before Terry Fox decided to run across Canada he had cancer in his leg. Doctors were able to remove his leg and replace it with an artificial leg. Terry Fox ran for 143 days – even at nighttime! Terry started his run on the east coast of Canada. 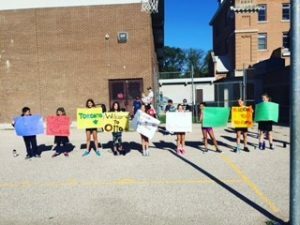 Terry did not make it all the way across Canada so every year schools and communities come together to run and raise money for cancer research. Terry Fox is definitely a Canadian hero in Room 23! The first month of junior high has been interesting. 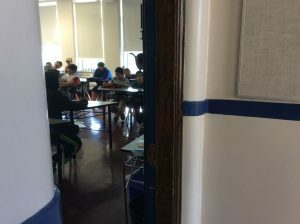 Many of us have reconnected with old friends from last year and have welcomed a number of new students to our classroom. 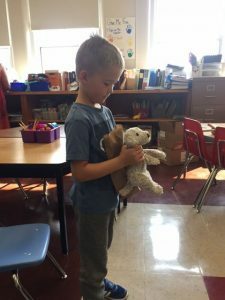 Our first language arts assignment was to tell our personal story of the first week of school using only pictures, which was harder to do than you would think. 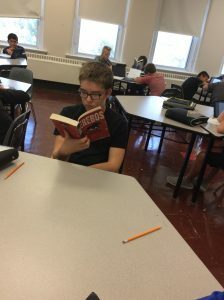 During the first week of school we worked on a grade level assessment and, when it was complete, we began our first novel study on the book “The Outsiders”. In addition to our novel study, each of us has chosen our own book to read during choice reading time several times a cycle. 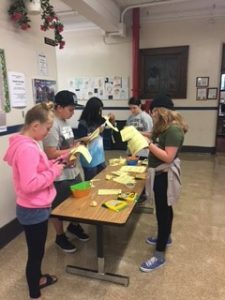 New to our junior high this year is something called Genius Hour which takes place every Day 5 afternoon. During this time we are designing and creating our own projects and have the freedom to explore any subject we are passionate about. For example, one student is working on a project on the evolution of video games, another is working on radios and how they have improved over the years, while still another is exploring the behavioural evolution of wolves. Some of the students are working on improving their skills in things like sketching and landscape art. Many of us have chosen our topics and have developed our “driving questions” to guide our research. The next step is to determine and locate the sources we will need to research our topics and then we will be ready to put together our “elevator pitches.” Stay tuned for more information on this in the months ahead! Overall the first month in language arts has been eventful and successful! Welcome to Room 28! From the start of the year, we knew we would be a great class! We started with learning about each other through our “Life in a Bag” assignment. 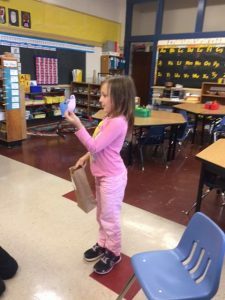 We learned that Gennie is learning to play guitar, Adam was a cute little kid, Rhianna has a beautiful beaded turtle necklace, Kyra has a cool hockey puck and card, and Sella has an amazing sand dollar, and lots of other neat things about everyone. We also made Life Maps to learn different things about each other. We got through our writing assessments and started our interactive science notebook. We have been talking about living and non-living things, or biotic/abiotic. In math, the grade 6s are working on problem solving and learning about exponents. Grade 5s are working on patterns and equations. Do you know how to add using letters? We do! 4 + r = 10, so r stands for 6. 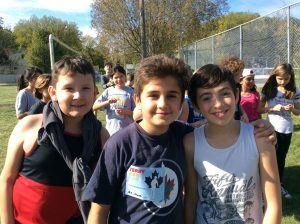 Last Friday we had a great time at the Terry Fox Run. We ran a lot of laps! We are also excited for the start of patrols this week. Standing with Mother Earth was a fun and eye opening experience where students, teachers, and Elders alike were each welcomed for individual differences but also, for everything that makes us the same. We learned about different world views, primarily the Aboriginal and contemporary views of the 4 elements (air, water, fire, earth) and were also given the opportunity to share our beliefs, experiences, and values, all while staying in traditional Aboriginal tipis. They provided excellent shelter from the cold weather and also gave us a bit of insight into some Aboriginal culture. Overall, it was a learning experience for everyone and something we would definitely like to do again. 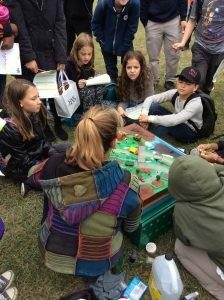 A group of Junior Highs went with Ms. Ruud to Whittier Park in St. Boniface to participate in a day of learning called “Standing with Mother Earth” on Sept. 21st. Although it was a cold morning, the tipis we sat in were warm and cozy and the sun shone on us in the afternoon. We learned about the 4 elements (Earth, Fire, Air and Water) and how they were not only important to Indigenous culture, but also how we can work to preserve our resources for the future. We would sit in a tipi and listen to an Elder talk about the importance of an element in the Indigenous culture and then move to the next tipi where representatives from places like Green Action Centre and The Healing Forest would talk about how we can preserve these elements and resources. 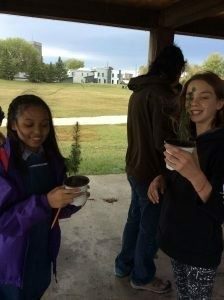 We learned about seed saving from Food Matters Manitoba and planted pine seedlings for us all to take home and plant. What a wonderful day of learning infused with traditional drumming, spoken word poetry, and a lot of experts! The first fifteen days of school have been amazing. It’s exciting to see some old friends and meet new ones. 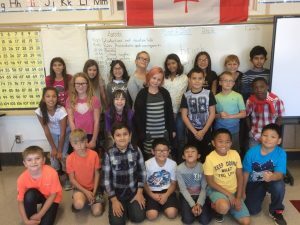 We have 8 new grade ones, a new student in grade two and another new student in grade three. Our classroom is not only multi-grade but also multilingual. We began the year by deciding about what kind of classroom environment we want to learn in. Our students created 204 Creative Words of Wisdom. Our favourite line is the first one that says, “We are readers, writers, scientists, explorers, artists, mathematicians, and problem solvers”. Each school day gets tracked on a Number Chart. We determine the number of equal groups we can make for the number for that day. Today we are on day 15 and have figured out that we can make three groups of five and five groups of three. New desks for our classroom were ordered in late May. They were made in Stonewall, Manitoba! We are excited to finally be able to sit at our new desks. Each desk has a plant which has been named by students. We hope to take good care of these plants by remembering to water them unlike our plant from last year which our Daycare friends rescued for us. Thanks to them the plant lived. 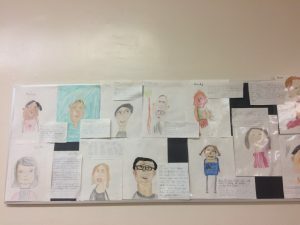 If you happen to walk by Room 16, you will see our portraits and our written reflections about them hanging on the bulletin board in the hallway. We worked hard to get the shape of our face, eyes, ears, nose, mouth, and blend skin and hair colour. Students in Room 16 love to read and have been working to build reading stamina. We started to track our reading stamina on September 8 at which time we read for 5 minutes. Now we have worked our way up to 13 minutes of uninterrupted reading. A book we especially enjoyed but was quite sad was called, Stolen Words, written by Melanie Florence. It was a book about a young girl and her grandpa. She was sad to learn he had lost his language because of the school he had been sent to. His grand daughter found a book with Cree words so he could begin to learn those lost words again. The reading power that we have been working on this month is making connections to our memories, facts and imagination. We will use these same powers in our writing too. We have learned that Terry Fox was a courageous Canadian. His Marathon of Hope has raised 750 million dollars to date. The students at Earl Grey ran on September 22, 2017 in his honour. For the first this year we ran inside the soccer field. Some students ran as many as 19 laps around the field. We like to learn in the classroom, hallway, and outside. While the weather is enjoyable we will try to take our learning outside as much as possible. We hope the next 9 months will be just as exciting. We have been keeping quite busy in room 25. We have begun a Social Studies unit on people, places and history of Manitoba. 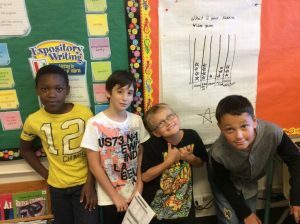 We are studying data collections and graphing in Math and have done some interesting surveys. We have been writing in our journals about a variety of fun topics and have explored our class library during reading periods. In French we are learning greetings and responses. In Gym we have begun learning lacrosse and in Music we have been doing learning centers about rhythm. The grade 5’s are VERY excited about going to camp Cedarwood this winter!